At last, i got the photos of the advertisement job from my friend. It has been waiting for this photo for such a long time because she accidentally left the photo with her cousin. 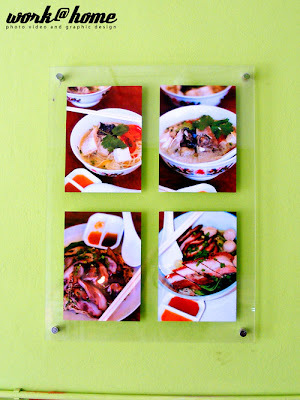 I wrote a post about some photography food I did for a My Cafe Restaurant and Restaurant Kampung Hainan. It has been a while not going there and i would like to taste the food again. Food photography was new for me because all the time, I just took weddings and landscape. I did some food photography before for my friend. 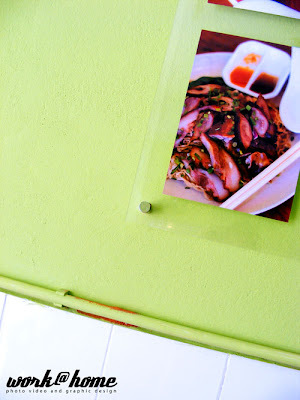 We did some menu for him and that was the last for food photography for me at that moment. I always find food photography a bit challenging because one need to photography the photo so that it look delicious. The second task was to put the photo into interesting setting so everyone can see it. This was very important because advertisement is about attracting stranger to try one product in my case the food. This was the front view advertisement i did for My Cafe Restaurant. 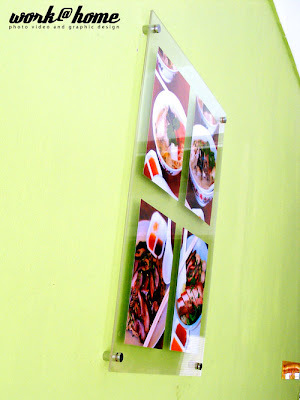 The two transparent plastic was attached on the photos that give a grand new design look. Thou, the person who installs the plastic did not really do a good job because i saw some unclean edge and mark on the wall. 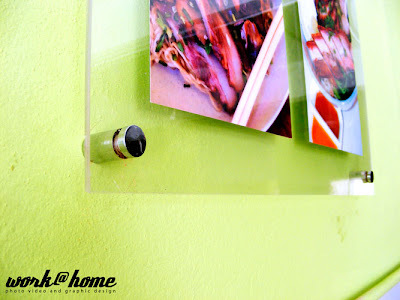 This is the screw that connected the two transparent plastic to the wall.